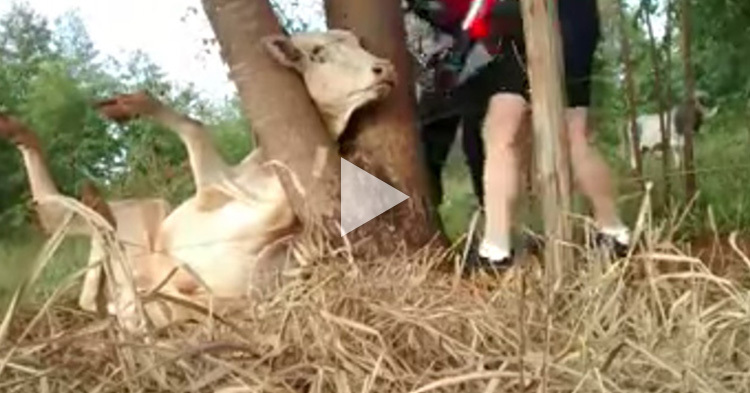 What will you do if you see a cow had its head stuck in a tree fork? 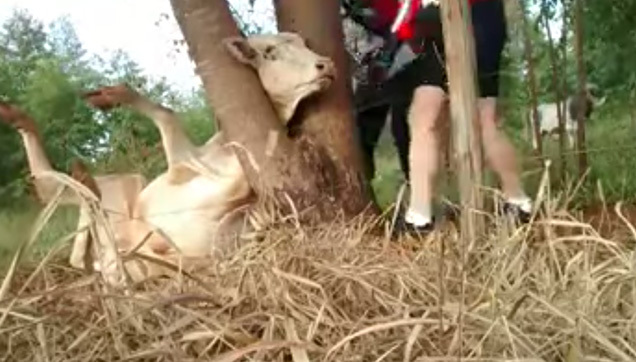 These two cyclists in the video below saw a cow had its head stuck in a tree fork (a bifurcation in the trunk of a tree giving rise to two roughly equal diameter branches) and rescued it. They went over the wired fence and tried pushing its head up to get it out with difficulty as the cow started thrashing its leg around and moving about. But then these two cyclists realize that they needed to realign the cow’s body and then proceeded setting it into the correct angle by dragging the cow around by its tail. Although the process looked like it might be hurting the cow a bit, these men were only helping and had clearly concluded that getting closer to the cow’s thrashing legs could possibly end up with them getting hurt. Once they have slid the cow into the correct alignment, they then successfully released it from the tree fork by lifting its head. Netizens expressed their gratitude to these two cyclists for doing this as one comment said the cow might have starved to death if they hadn't helped it.